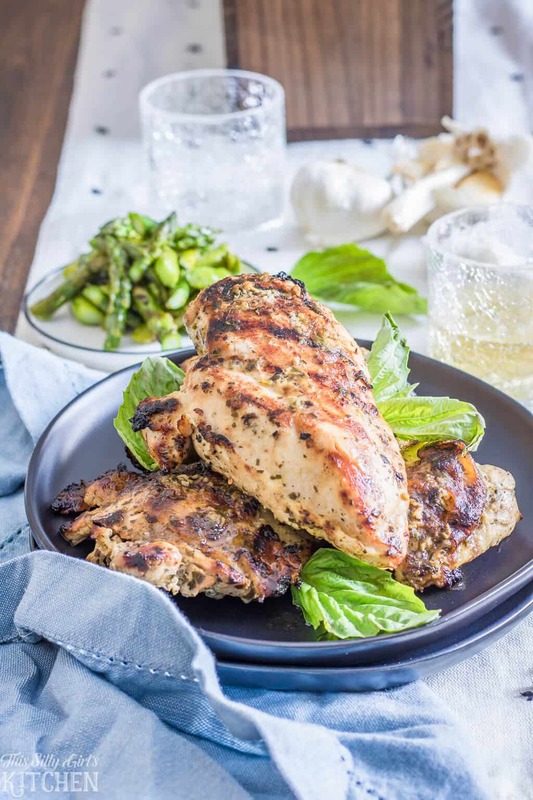 All-Purpose Pesto Chicken, an amazing pesto marinade for grilled chicken, a perfect addition to salads, pasta, and more! 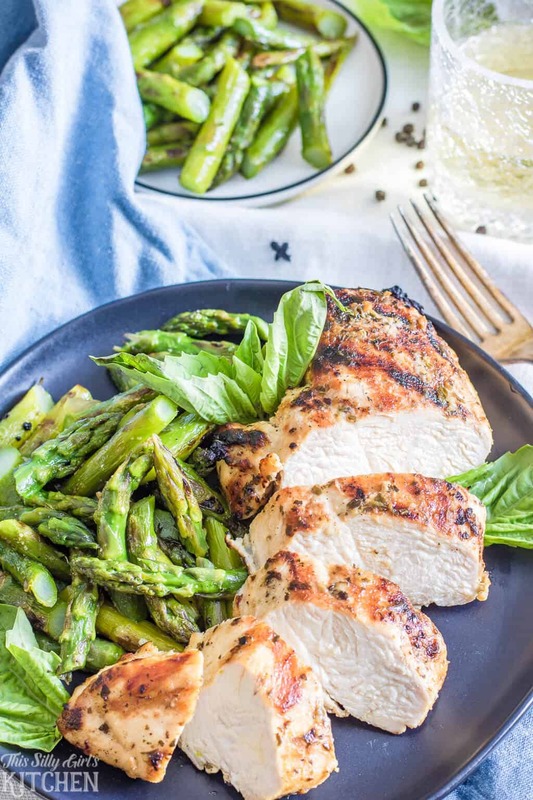 Get out of your weeknight dinner rut with this pesto chicken! 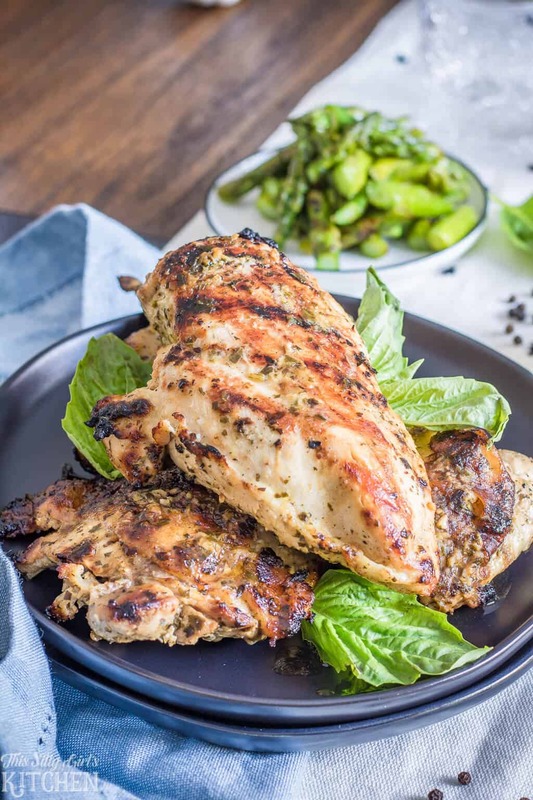 All-Purpose Pesto Chicken, a marinade literally bursting with flavor that keeps chicken moist and leaves you wanting more! This post is sponsored by BJ’s Wholesale Club, all opinions are 100% my own. I have a few chicken marinades up my sleeve that I keep making again and again. This is one of them. An Italian-inspired marinade using pre-made pesto sauce. It goes together in minutes, let your chicken (or pork!!) marinade for hours then throw it on the grill. 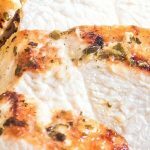 I call this chicken recipe all-purpose because it is one of those recipes you can bust out for any meal. 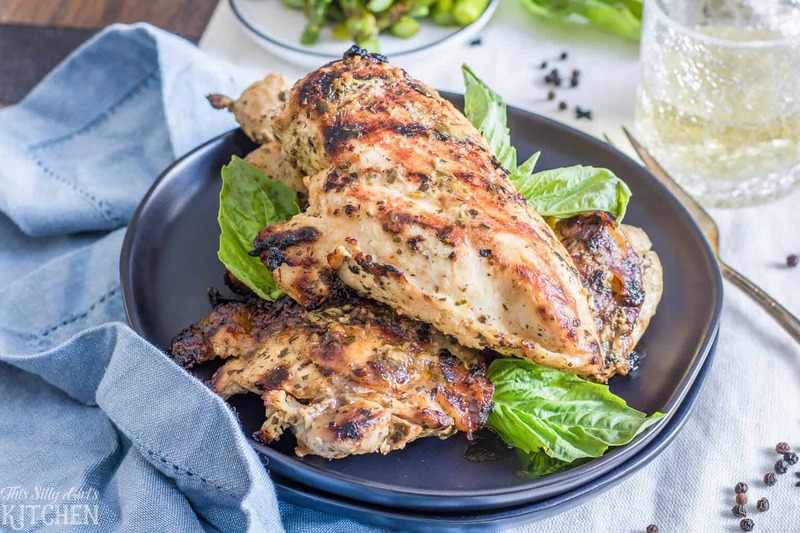 Use it on its own with bone-in chicken for an amazing grilled chicken night, or you can slice it up and put it in pasta, on salads, in a chicken salad with a twist, on sandwiches… the possibilities are endless! I was at BJ’s Wholesale Club over the weekend doing our monthly large shopping trip. I picked up all the ingredients needed for my recipe there. My little secret to this recipe is to pick up a jar of pesto. Yes, pesto is super easy to make but I mean… this is just easier, lol. They come in a two pack and it will last you for months, a total win. You probably already have most of the ingredients on hand at all times anyway. 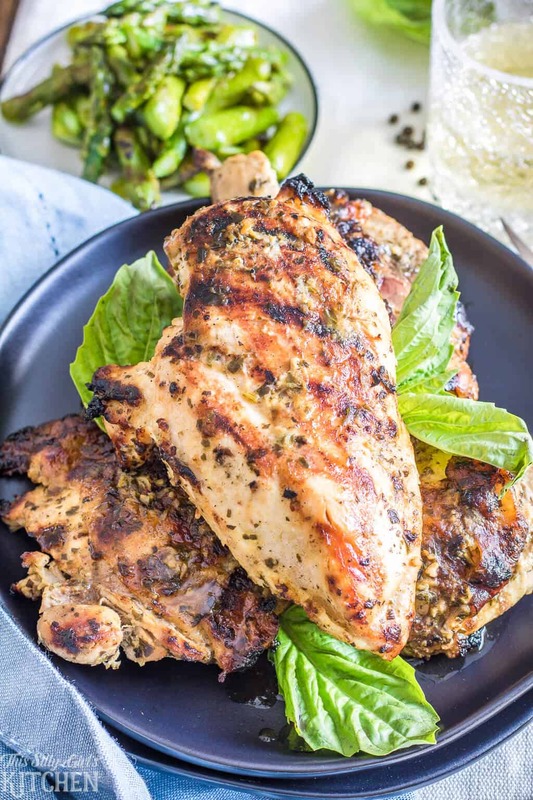 And, little did you know you could have been making this delicious Italian marinated chicken!! Well, now that you have this recipe in your arsenal you are set for life, my friends. If you don’t have access to an outdoor grill, no worries! You can pick up a grill pan and cook it on the stovetop. It also makes for a great baked chicken as well. You can use this recipe on pork chops or for a pork roast too. So yummy! The secret to a really moist chicken is first a marinade with some type of acid in it. In this recipe, we use apple cider vinegar. The second factor is to make sure it is not overcooked. 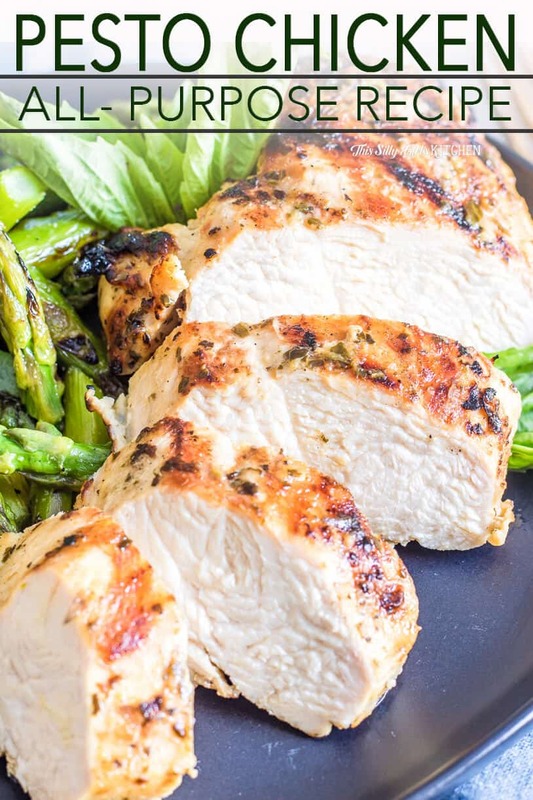 This is especially important with white meat chicken, invest in a meat thermometer and pull the chicken off the grill at 165-degrees. Now, my personal favorite tip is basting the chicken while on the grill. I make a double batch of marinade so I can keep basting the chicken every few minutes. This helps to keep it moist while adding more and more layers of flavor. Lastly, you have to let the meat rest before cutting into it. This lets the juices rest into the meat instead of just running everywhere as soon as you cut into it. If you are worried about it getting cold, just lightly place a piece of foil on top. I love to shop at BJ’s Wholesale Club regularly to pick up products I use more often. I always get a package of the bone-in thighs and another of boneless skinless breast. What I think really sets BJ’s apart from other clubs are the brands they carry. Almost all of my favorite products are at the store and for way cheaper, since you are buying in bulk, I truly love my local BJ’s! Pictured is my recipe for Easy Grilled Asparagus, I don’t grill without it! It’s ready in 15 minutes, the best side for this chicken! 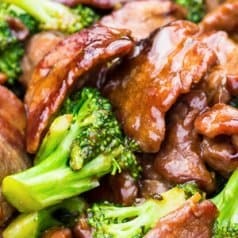 To see this recipe and more yummy grilled recipes with 5 different meat, 5 flavors, check out BJ’s Stocked post here! 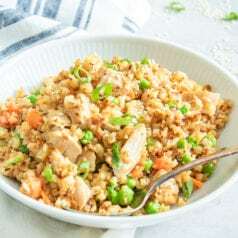 Place chicken in a gallon sized bag and set aside. In a medium-sized bowl, whisk together all of the ingredients. Reserve half of the marinade and place in an air-tight container in the fridge. Pour the remaining marinade over the chicken, toss to coat. Place in fridge for 4-6 hours to marinate. 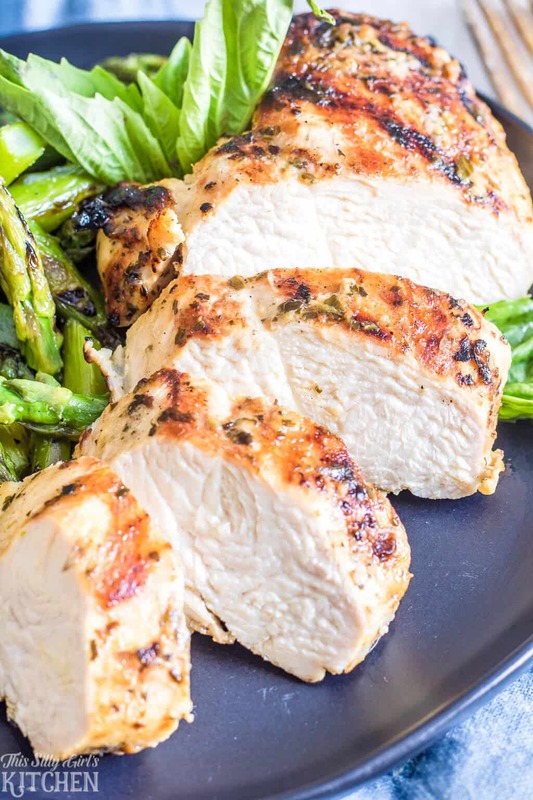 Take chicken out of marinade and grill over medium heat until internal temperature reaches 165 degrees. Baste chicken with reserved marinade every few minutes while cooking. 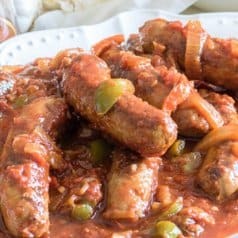 need to make this for dinner tonight!